In T.H. White’s fantasy classic, The Once and Future King, Merlyn lives time backwards – and therefore makes anachronistic comments (like references to the Second World War). Using his vast retrospective knowledge, he mentors Arthur Pendragon, the future king. Since Tim Duncan's got a Merlin tattoo, it provoked me thinking about what advice this NBA sage might give to some of the league's young stars. 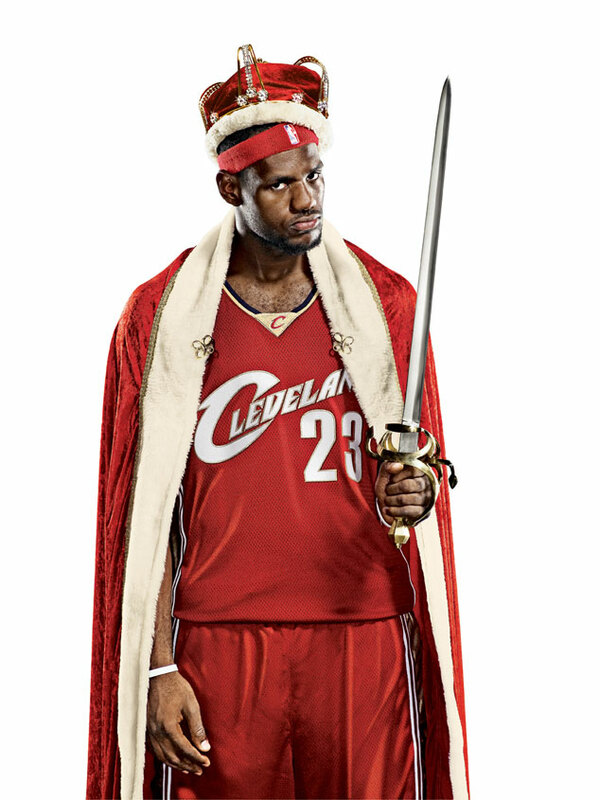 Specifically, to the league's once and possibly future King, LeBron James? So let's imagine Tim Duncan filtering the present through the lens of the future, telescoping time retrospectively, and offering King James a vision of the future. In the following playlet, Negative Dunkalectics continues to pioneer the emerging genre of NBA fan fiction. Enjoy! Future King James: Well, tell me old man…will ‘LeBron James’ surpass ‘Michael Jordan’ as a brand? James: Hmm. Will I win as many championships as MJ? Or Shaq? Duncan: No. However, you will win the same number as Wilt Chamberlain. Your critics will say, like they say of Wilt, that you were the most talented player of your era and that you never really understood the "secret" of the game. James: Well, will I be a global icon? I've imagined it will be like Hollywood down here. James: Hold on, hold on. This sounds bad. I’m going to make my own future. And I'll tell you your own future, which I guess is my past. The Spurs win four titles but are never considered anything but "boring." I bet no one will remember them outside of Texas 20 years from now. Duncan: Make that boring five titles then. You’d be surprised what even an aging Spurs team (with fresh legs going into the playoffs) can do in a lockout shortened 2011-2012 season. Finally, beware of your own Lancelot: Chris Bosh is a tortured soul as well as an accomplished knight of your roundtable. You must keep him engaged to win. Learn to relate to him but take the lead when you need to. I can say no more but he is an immense talent that you must help unleash.